t's nutrition month! The first day of Spring is always a special time for me as it is my daughter's birthday (how she got to be 6 years old already... I have no idea). Each year I celebrate my sweet girl along with one of my most favourite seasons. This Spring, in addition to cleaning out your closet and switching out your winter clothing-it's also aperfect time to de-clutter your diet and boost your metabolism... naturally. If you have gained a few pounds over the winter or are feeling a little "blah" trust me, you are not alone. The good news is, I can help you feel better and lose weight in just 30 days (see below!). In addition, this newsletter will also offer you super-hydrating products, delicious low calorie and nutrient rich recipes, a few of our latest success stories and fantastic natural give-away options. Don't forget that if you are signed up to the www.drjoey.com newsletter, each month you will have an opportunity to win the latest natural food, beauty and clothing products! 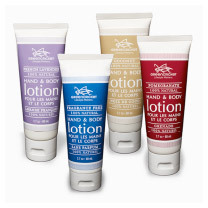 See details in "Products we can't stop loving" section to discover more. Looking to take your health up a notch and lose some weight in just 30 days? Click here to read more. 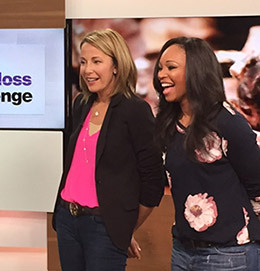 Wow... we are having one of our greatest years yet on the Cityline weight loss challenge 2015! If you have not tuned in, please join and watch how our 3 winners are doing. You can also always visit www.cityline.ca to get fantastic meal plans, recipes and remember... it is never to late to join us. Congratulations to our Shulman Weight Loss client Leslie who is 28 pounds down! 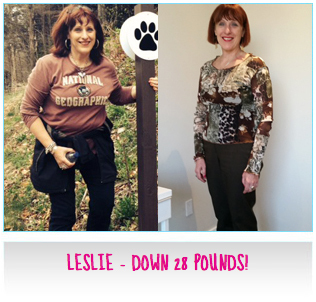 Leslie worked with one of our fantastic nutritionists Marlene Hynd and has done amazing. Here is what Leslie has to say about her experience at Shulman Weight Loss. "Dr. Joey's program helped me in 3 main areas: 1) fired up my metabolism (yaay! ), 2) helped me balance my hormones and 3) gave me a program I can follow for life. I travel extensively for work (and some holidays) and I am out for meals most days of the week. This program is perfect for a busy lifestyle!" Jax Coco 100% natural coconut water is refreshing, smooth and filled with beneficial properties, including 5 essential electrolytes (potassium, calcium, magnesium, sodium and phosphorus). Added into a morning smoothie, coconut water is the perfect way to replenish electrolytes and boost energy. 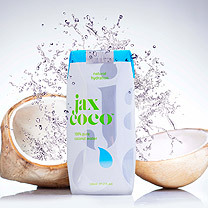 Jax Coco is providing 10 lucky newsletter readers with a TWO month supply of Jax Coco products including two cases of 1 litre 100% pure coconut water and one case of Jax Kidz coconut water in chocolate and banana flavor! We will be randomly choosing 10 lucky names from the drjoey.com database. Winners will be contacted directly. Love Bottles first began as a way to increase water consumption by improving quality and appearance. Their mission is to spread love and improve health all the while getting clean and safe water to those who so desperately need it. A portion of each bottle sold goes to Clean Water Action as well as Global Water organizations dedicated to bringing drinkable water to areas in need. Their reusable glass bottles come in two sizes 1000ml and 500ml and can be completely customized to fit your style. Natural Calm is an excellent source of magnesium - a mineral known for its ability to aid with energy production, improve bowels and induce relaxation leading to better sleep. 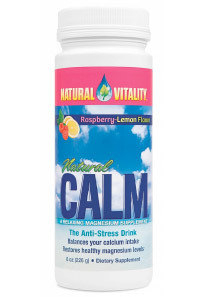 Natural Calm comes in a powdered form and is gluten free and vegan. Simply add to hot water in the evening prior to bed. Natural Calm has put together a health goodie bag for one lucky newsletter reader containing an 8oz container of Natural Calm Organic Cherry Flavor, a Magnesium Chloride Spray, Heavenly Sleep liquid melatonin and sample packs of Natural Calm products. The lucky winner will be contacted directly. 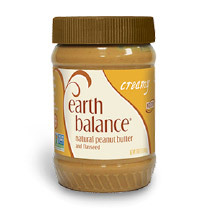 My kids love this delicious, 100% natural peanut butter. Green Cricket is giving away a health basket valued at $250 to a lucky newsletter reader! Sauté the broccoli, onion and peppers until onions are translucent and veggies are tender. Pour eggs over vegetables and stir. Constantly stir the eggs with the vegetables until cooked. Season with sea salt and pepper, and top with tomatoes and avocado and sprinkle with feta (if you choose). MICROWAVE: Cut lengthwise, remove seeds and pierce skin with a fork. Place cut side down in ¼ cup water. Cover and cook for 7-10 minutes. Once cooked, run fork over inside of cooked squash to release spaghetti squash. Sauté turkey (chicken or beef) until cooked through. Add chili powder and garlic. Add prepared onions, mushrooms, and peppers and sauté for 5 minutes, or until tender. Then add tomato soup and allow to simmer for 40 minutes ? 1 ½ hours. If needed, add ½ cup water. Place tomato sauce over spaghetti squash. Serve while warm. Enjoy! * Tip: When using rice paper wraps; dip in cold water for about 3 seconds first and lightly wipe off excess water. Use one at a time. Have ingredients ready to add in right away to avoid allowing the rice paper to harden again. Can make ahead of time but cover with a damp cloth to retain moistness. Slip one of the rice wrappers into the hot bowl of water and allow 3-5 seconds for it to soften. When the rice wrapper is soft, remove it from the bowl and place on a clean surface. Wipe excess water. Add protein, mango, avocado, pepper, cucumber slices and fresh basil. Then fold over one end. Continue by folding the other end over. Then lift the long side of the wrapper and tuck it over the filling to create a log-like roll. Roll up the remaining rice wrap, pressing the end down to secure it and enjoy! Hardwiring Happiness lays out a simple method that uses the hidden power of everyday experiences to build new neural structures full of happiness, love, confidence, and peace. Dr. Hanson's four step approach builds strength into your brain balancing its ancient negativity bias making contentment and a powerful sense of resilience the new normal. In mere minutes each day, we can transform our brains into refuges and power centers of calm and happiness. 5 TOP HEALTH AND WEIGHT LOSS TIPS FOR NUTRITION MONTH! Make breakfast your biggest meal and dinner your smallest. Research shows that people who eat their largest meal at breakfast and their smallest meal at dinner, loose weight quicker and digest their foods most effectively. Always ensure dinner is your smallest meal of the day. Stay hydrated. In order to stay adequately hydrated, make sure to drink 8-10 glasses of water daily. This includes herbal teas. Routine. Our bodies thrive off of routine and it is the most effective way to avoid excess weight gain. Having regular meals (i.e., breakfast, lunch, dinner and snacks), eating dinner before 7PM and getting adequate sleep are all important factors when it comes to the healthiest you. Exercise, exercise, exercise. Exercise is an all around important way to stay healthy. Try getting 4-5 days of 45-60 minute workouts per week (i.e., walking outside or at the mall, going to the gym, going to a workout class, yoga etc.). Instead of sitting on the couch or driving to the store, get out and go for a walk. Your endorphins will increase, leaving you feeling happy and energized, plus you will burn some extra calories. Be mindful. Always be mindful of your eating habits. Make sure to take adequate time to eat your foods, and avoid rushing to get out the door. Tell your friends to stay connected to natural health by joining www.drjoey.com today!